Though Sainamhai Resort is beginning to show its age, it still delivers an experience that trumps staying in town and it’s ideal for those happy to spend a bit more for the peace and quiet of a rural riverside location. 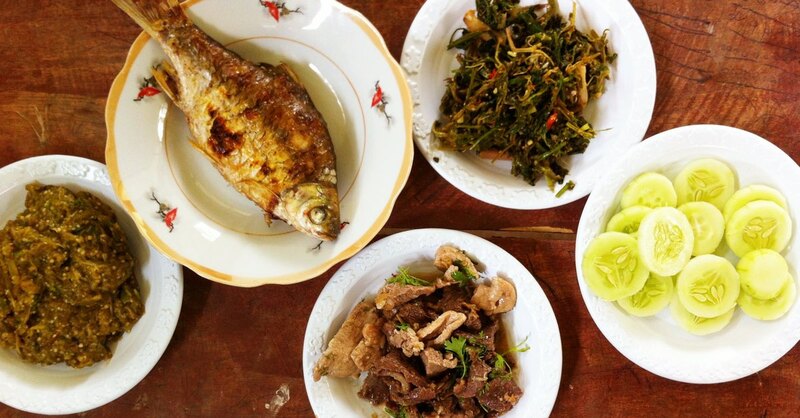 The family-owned resort is located four kilometres from Route 8/Na Hin town centre, though if you’re heading to Konglor, it doesn’t take you off track as the road it’s on eventually connects to the road to Konglor. 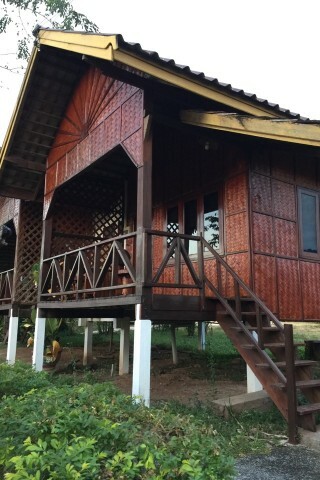 The raised Lao-style bungalows ooze cottage charm, with wide wooden floorboards underfoot, rattan furniture and bamboo thatch covering the walls. Clean linens top the comfy beds, while the fan, air-con and plenty of lights ensure things aren’t too rustic. The only underwhelming aspect are the bathrooms, which are function over fashion. Our hot water shower also suffered from meagre water pressure. The highlight of the property is the on-sight restaurant, a big wooden deck overlooking the river. Not only does the restaurant have a lovely, linger-worthy view, the food is tasty and cooked fresh, there’s WiFi, free coffee and tea at any time. The family, who are very accommodating souls, also sell locally made high quality indigo textiles. Even if you aren’t staying the night, this is an excellent spot to take a break from the road with a meal or to shop for handwoven souvenirs.